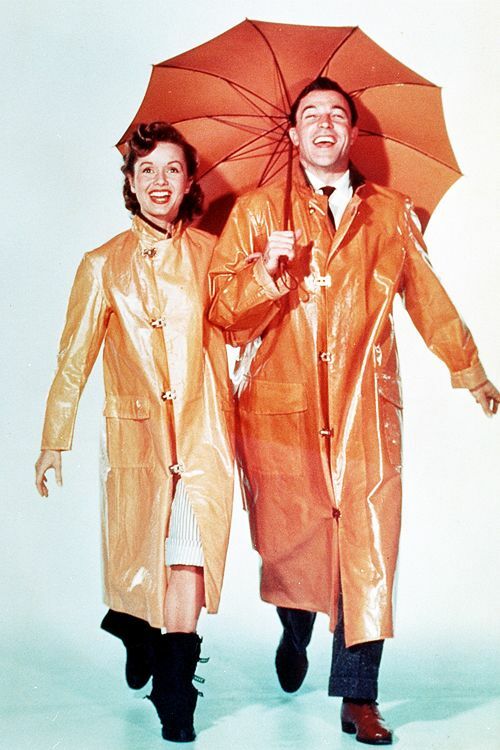 Singin' in the Rain (1952), starring Debbie Reynolds and Gene Kelly, is one of the 1001 classic movies you should see. Each Monday, I'm going to recommend a classic movie you should see (for the reasons behind the 1001 series and reviews of earlier films covered go here). January's theme is movies about Hollywood. Today's selection is the musical Singin' in the Rain (1952), which satirizes the effects of sound on the silent film industry. Singin' in the Rain tells the story of Don Lockwood (Gene Kelly), a former vaudevillian who is now a superstar in silent swashbucklers along with his leading lady, Lina Lamont (Jean Hagen). However, thanks to Lina's squeaky, Bronx-inflected speaking voice, the partnership of Lockwood and Lamont isn't likely to survive the arrival of sound, until Don's best friend (Donald O'Connor) comes up with the idea of having a talented young actress (Debbie Reynolds) dub Lina's voice. Singin' in the Rain was the brainchild of MGM producer Arthur Freed, who had already made such classic MGM musicals as Meet Me in St. Louis (1944), Easter Parade (1948), and the Academy Award-winning An American in Paris (1951). Freed came up with the extremely clever (and, one assumes, lucrative) idea of reviving his back catalog of songs that were written with Nacio Herb Brown for musicals made in the early sound era (the title tune comes from The Broadway Melody of 1929). Freed then hired musical comedy maestros Betty Comden and Adolph Green to write an original script and reunited Kelly and director Stanley Donen, who had worked together so well in On the Town (1949). The result was a box-office hit, but the film's reputation has steadily grown in the years since. 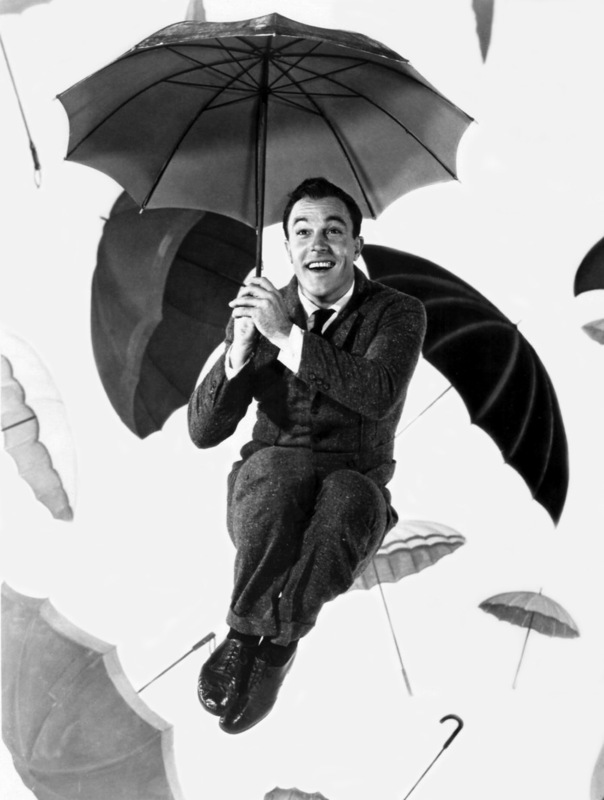 Today, Singin' in the Rain is an iconic old Hollywood film thanks to Gene Kelly's memorable performance of the title tune, but the movie is also a sharp-elbowed satire about the old Hollywood studio system. Comden and Green's witty script satirizes everything from the fan magazines -- Lina believes that she and Don are engaged because she read it in a gossip column -- to the try-anything-for-a-buck style of old Hollywood moguls. However, the movie does somewhat exaggerate the difficulties of the transition between silent and sound films. Most silent stars did not flame out as spectacularly as Lina Lamont, and some, like Greta Garbo, even thrived in sound films. 1. Innovative camerawork. Singin' in the Rain is primarily a glossy Technicolor musical, but the film also gives a fascinating glimpse into Hollywood history. Donen, Kelly, and cinematographer Harold Rosson successfully replicate silent films, early sound films (listen for the crackling soundtrack in these scenes), choreographer Busby Berkeley's geometric dance routines, and Jeanette MacDonald-Nelson Eddy operettas throughout the movie. 2. Cast. 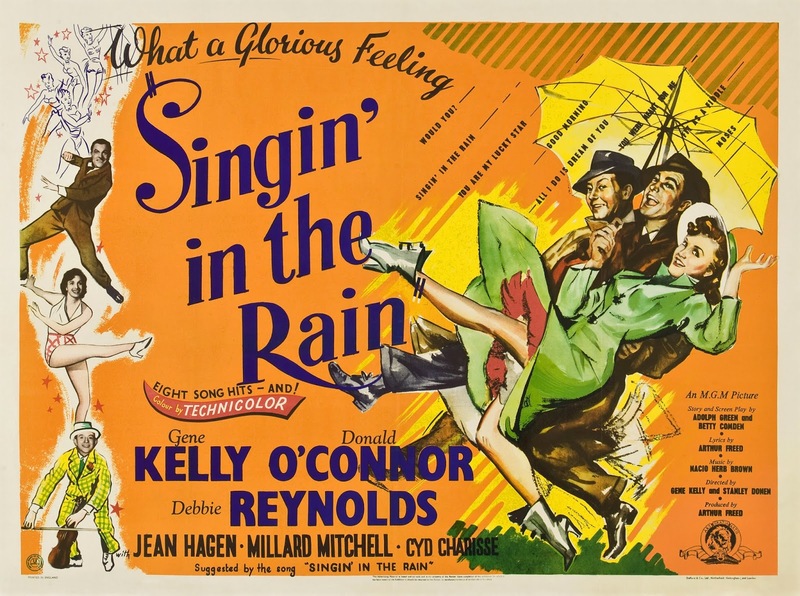 Reynolds often said the two most difficult experiences of her life were "childbirth and Singin' in the Rain," and it seems that making the film was a grueling experience for the entire cast. Reynolds had bloody feet after the "Good Morning" number, O'Connor had to stay in bed for a week after filming "Make 'Em Laugh," and Kelly performed "Singin' in the Rain" with an 103 degree Fahrenheit fever. 3. Jean Hagen. Comden and Green wrote the part of Lina Lamont with Judy Holliday in mind, but, amazingly, MGM never even approached her about playing the part. Instead the role went to character actress Hagen, who steals every scene she's in with her gauche demeanor and Bronx honk. Her reading of the line "I can't stand him" is worth the price of admission alone. 4 The "Gotta Dance" scene. Kelly's addiction to ballet sequences is a somewhat mixed bag (it works spectacularly in An American in Paris; not so much in On the Town), but his seductive dance with Cyd Charisse hits every thirties gangster trope. Gene Kelly in a publicity still for Singin' in the Rain (1952). Other critics: Singin' in the Rain has an 100 percent fresh rating at Rotten Tomatoes and Leonard Maltin writes that it is "perhaps the greatest movie musical of all time. . .Kelly's title number and O'Connor's 'Make 'Em Laugh' are just two highlights in a film packed with gems" in a four star review for his Classic Movie Guide. Critics in 1952 mostly praised the movie, although they fell short of the "greatest musical ever made" tag that would be assigned to the film in the 1970s. The usually dyspeptic Bosley Crowther of The New York Times wrote that Singin' in the Rain put him in a "buttercup mood," while the Variety critic predicted "wide appeal and bright grossing prospects." The bottom line: I think Singin' in the Rain falls just shy of being the best American musical ever made (I would hand the honors to An American in Paris), but it is always a joyous experience, especially on the big screen. Availability: TCM and Fathom Events are bringing Singin' in the Rain to movie theaters across the US on Jan. 15 and 18. Go here for ticket information. It will air on TCM at 6 p.m. Jan 27 and 2 p.m. Feb. 24. It is also available on DVD, Blu-ray, and video on demand. Next week, I'll continue the theme of Hollywood on Hollywood with the noir, Sunset Boulevard (1950).